The Puget Sound region’s cold temperature has taken the life of a 59 years old homeless man. He has been living without an address for a long time, and he breathed his last at the Sodo light-rail station. Derek C. Johnson, the homeless man, was found by a Link light-rail train operator, he saw the man lying on the pavement at the platform just before the Link light-rail trains were scheduled to start at around 5:30 a.m. on Thursday. As this week is seeing deadly cold weather, this is the first case of hypothermia-related death in King County by the Medical Examiner. The death now focuses on the question of what is at stake as Seattle and King County homeless-service providers brace for multiple days of snowfall and freezing temperatures predicted over the coming week. Their focus has been common- a thousand people are living unsheltered in King County, and they need to ensure their safety. They are considering opening shelters and paying for motel rooms, and they assure to do anything needed to reach out to the people who are in need. As most of the city’s shelters are about to be overloaded, both the city and homeless-service provider Mary’s Place opened shelter space for families Friday. King County also added more capacity at one of its facilities for adult men. Kimberly M. Reason, the spokesperson for Sound Transit, said Johnson was on the light rail and got off a train at the Sodo station at around 11:30 p.m., an hour before the closure of rail service. Later he was found by a rail operator lying dead on the platform as the train was pulled into the station for the first operation early on the morning. It is yet to be cleared whether Johnson has contacted any shelters in recent days. According to the Low Income Housing Institute (LIHI), which manages the Frye, he used to live at the Frye Apartments in downtown Seattle but had left the place in 2017. As per LIHI Executive Director Sharon Lee, Johnson might be using housing and services elsewhere. As the concerns about the cold weather are increasing, Seattle officials have declared that they would keep its emergency overnight shelter for adults at Seattle Center’s Exhibition Hall open for another week, through Sunday, Feb. 17. Seattle has also opened shelter space for families at the Garfield Community Center. Currently, it was only open for adults. As of now, shelters in Bellevue, Kent, and Renton have decoded to open shelters for families with children under 18. Renton has already started a massive influx. Renton human-services manager Guy Williams said the shelter has a capacity of 30 people, but it saw 37 guests every night since the unprecedented cold weather. Seattle’s Navigation Team has been actively going to the city’s unauthorized tens sites to help the homeless people. 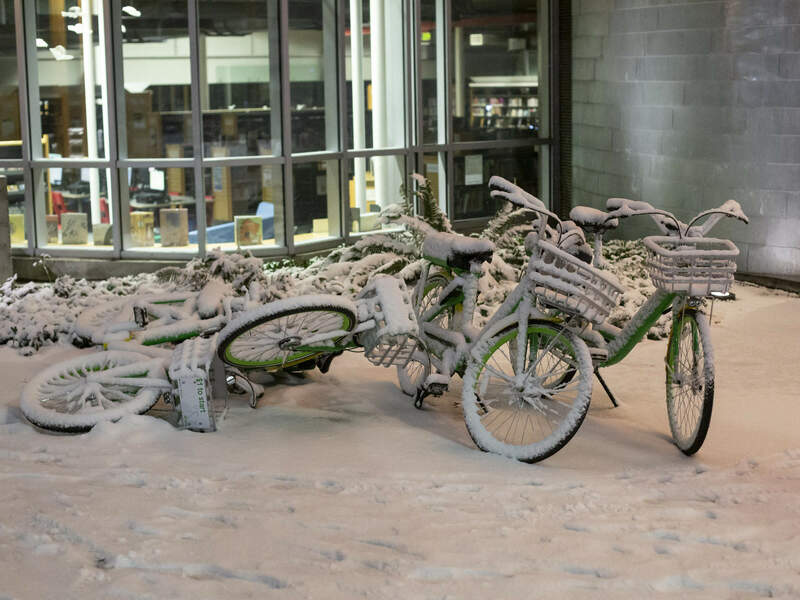 However, Monday’s snow prevented them from working. This week a team of people including a mix of police and outreach workers focused on the city’s larger encampments so that they can reach the most number of people at a time. Police officers are also transporting people to shelters in the van and Police department has advised calling 911 I case someone finds a homeless lying exposed to the cold weather. As per a count, most of the homeless people are living inside vehicles than tents. The shelter space the city opened at Garfield Community Center is also facilitating accommodation in vehicles. Noah Fay, housing director for Seattle’s Downtown Emergency Service Center, said local shelters which often operate at full capacity, rely on the City’s shelters for providing accommodation. DESC is also going full in capacity and sometimes over capacity in emergency situations. So, in these crucial times, the State should act more efficiently to protect the lives of the people at the lowest strata of society.